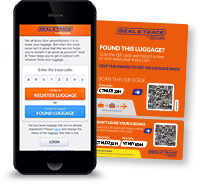 Using Seal & Trace, passengers are able to register their baggage with contact details. This can be done before traveling or even after baggage has gone missing. 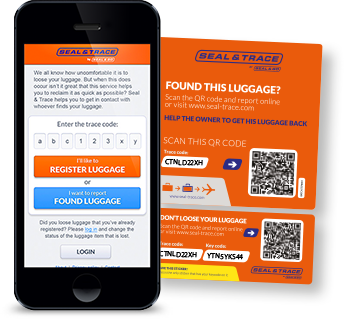 Once registered online, the baggage will be traceable. Seal & Go employees attach a sticker after sealing a piece of baggage. The unique code can be used to register any type of sealed baggage. The sticker tells the finder to scan the barcode with a smartphone or log on to the Seal & Trace portal with the unique QR code and follow the instructions online. The portal will send an automatic alert to the owner’s mobile phone or e-mail address. With the provided information the owner can get in touch with the finder and make an arrangement to pick up the lost baggage. In case it is prohibited for passengers to carry their electronic devices as cabin baggage, they can use our Box & Go service. With Box & Go, electronic devices (e.g. : tablets, computers or cameras) will be wrapped in bubble foil and placed in a box, which will be sealed. The box will get a Seal & Trace sticker for tracing. With Box & Go passengers can safely check-in their mobile devices together with their other check-in baggage. Sometimes passengers already checked-in their baggage, but forgot to add a cabin-prohibited item, such as a Swiss knife or a set of dart arrows. With Mail & Go we can help them out. For a small fee, we will make sure that the passenger’s belongings are sent to their home address. Mail & Go is a small effort to our operational staff and a much-appreciated service by passengers. 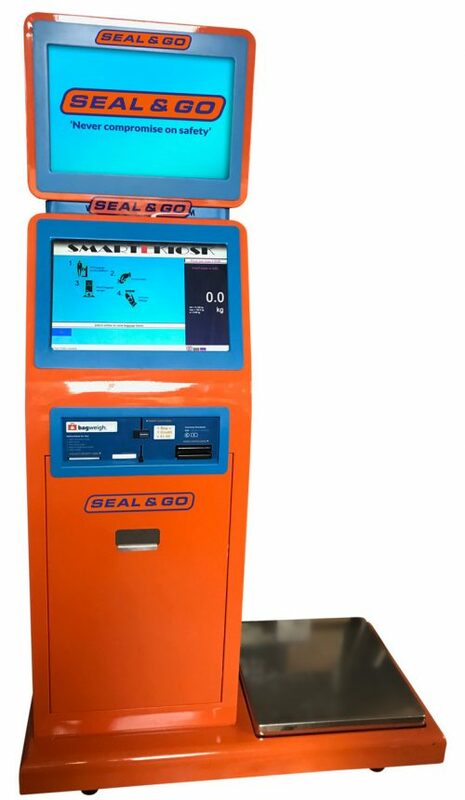 At several locations, Seal & Go offers baggage weighing. By using the user-friendly self-service scales, passengers are able to serve themselves. The digital baggage weighing scales are situated near the Seal & Go airport desks. The compact scales work fully automatic and are supplied with an integrated payment system. 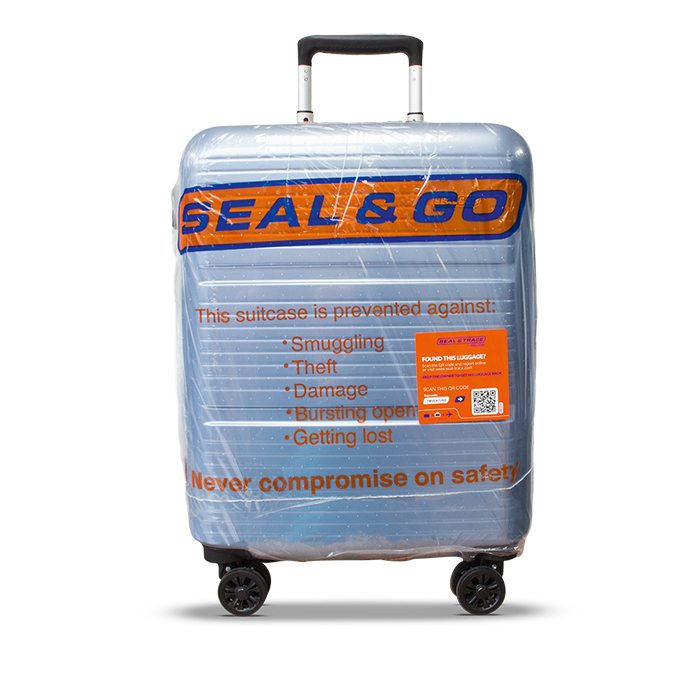 At the moment Seal & Go is also developing an innovative baggage storage service. If you are interested in this baggage storage service, please fill out the contact form to discuss the possibilities. Seal & Go is open to suggestions when it comes to offering an additional service. Please feel free to fill out the contact form to discuss new business possibilities.